The Title "The Integral Yoga Sri Aurobindo's Teaching and Method of Practice : Selected Letters of Sri Aurobindo 2nd Impression" is written by Sri Aurobindo Ashram, Archives and Research Library . This book was published in the year 2006. The ISBN number 817058308X|9788170583080 is assigned to the Paperback version of this title. The book displayed here is a 2nd Impression edition. This book has total of pp. xii + 401 (Pages). The publisher of this title is Sri Aurobindo Ashram. We have about 1164 other great books from this publisher. 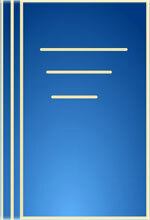 The Integral Yoga Sri Aurobindo's Teaching and Method of Practice : Selected Letters of Sri Aurobindo 2nd Impression is currently Available with us.